i.2. Philip Jakobus, geb. 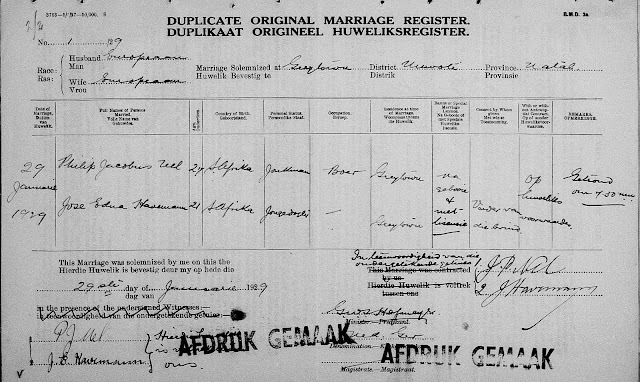 17/06/1902, Kranskop, KwaZulu-Natal, ged. 12/10/1902, Greytown, oorl. 11/02/1984, Greytown x 29/01/1929, Greytown met Jose Edna Havemann, geb. 23/12/1907, oorl. Greytown, d.v. Johann Havemann en Louisa Martha Josephine Menne. Philip Jakobus was die seun van Johannes Petrus Nel en Margaretha Cornelia Maritz. 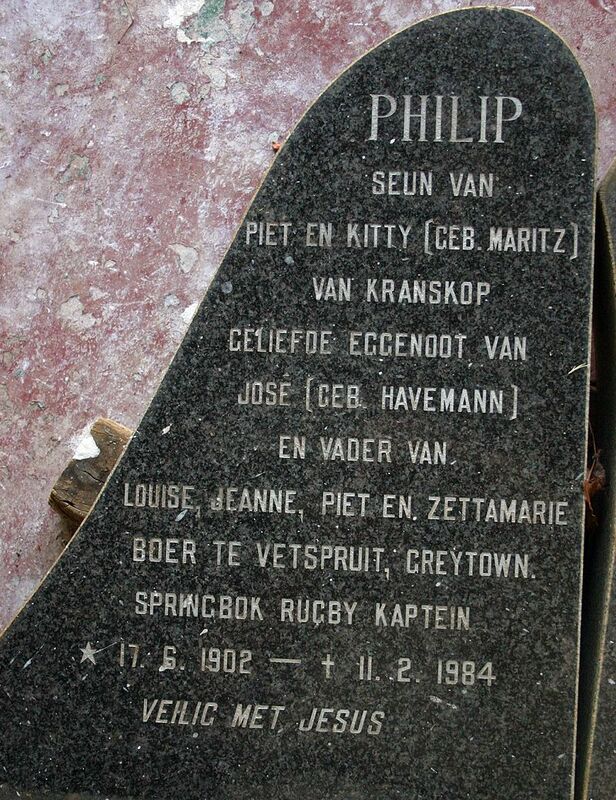 Philip Jacobus Nel (17 June 1902, in Kranskop district of KwaZulu-Natal, South Africa – 11 February 1984, in Greytown) was a former South African Springbok captain.